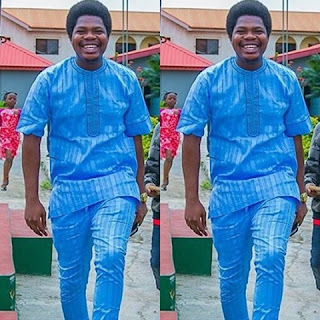 Redeemer’s University have expelled one of their students, actor and entertainer, Debo Adedayo aka Mr Macaroni, just few days before his graduation over a post he made on his Facebook page. According to the university which is owned by the General Overseer of the Redeemed Christian Church of God (RCCG), Pastor Adeboye, Debo’s Facebook post was offensive and portrayed the university in bad light, an act that constitutes serious misconduct and punishable by expulsion. 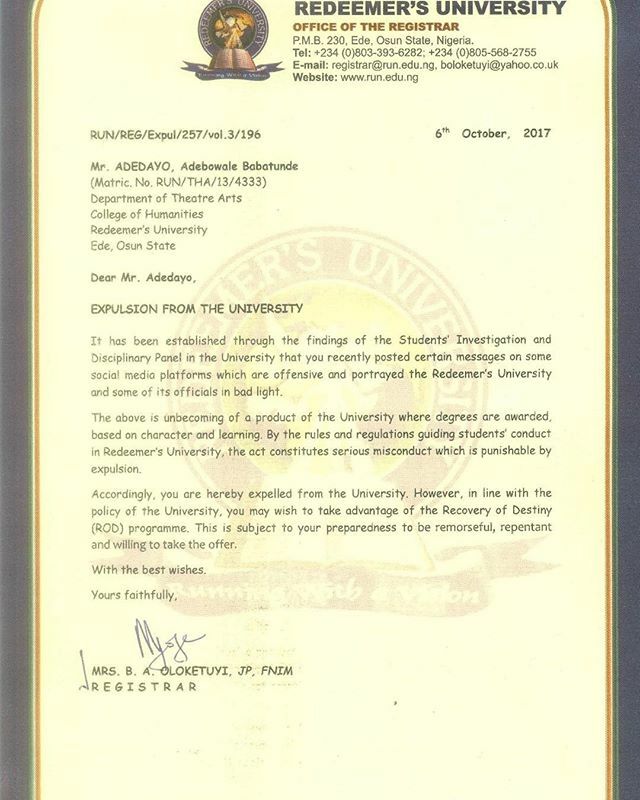 He wrote; "This is the reason why I have been expelled from Redeemer’s University after years of passionate service and sacrifice to the University. I didn’t lead a riot as president of the Students Association, I didn’t steal, I didn’t fight, I didn’t break any rules and regulation. "I posted this after a meeting with Prof Wande Abimbola. The school mgt invited me for an ‘interaction’ and right there, I was told that the school mgt feels that this post is about them. "I repeated times without number that the post is simply an expression on issues of life and has nothing to do with Reedemer’s University. 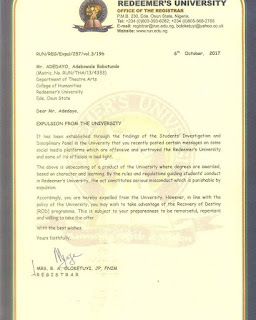 They however wanted me to admit by all means necessary that I was referring to the mgt of Redeemer’s University which I refused to. "I was asked to go and weeks later I was denied the joy of attending my own Convocation. Now, I am greeted with a letter of expulsion for this post that I insist wasn’t for Reedemer’s University or anyone in it." “Most of you would observe that I have been silent about Redeemer’s University lately. For those of you who know about my University life, most of you called me and sent me series of text messages 2 weeks ago asking why I didn’t go for my convocation.. this and that… as it was quite clear that I should have graduated in flying colors. Well, the management of Redeemer’s University denied me of my joy that day. I had waited so long for that day, and while waiting, I served Redeemer’s University with all my life. First as Social Director in my 300Level and then as President of both the student association and the graduating class. I ask anyone reading this to call anyone he or she knows in Redeemer’s University including the management that dislikes me so much and ask who Debo Adedayo (Mr. Macaroni) is. If they will speak the truth with the fear of God, they will tell you that I served the University with all my life and heart. I can’t plunge into the achievements of my administration in Redeemer’s University because you will get tired. I used everything that God blessed me with to promote Redeemer’s University. I left Redeemer’s University a debtor. All my life savings was used in paying school fees for other students and making sure students were at least comfortable in a possible way. Please just ask around. For me, leadership was and still is service, selflessness, and sacrifice through discipline, integrity and accountability to those we as leaders claim to be of service to and by God’s grace in whose name I swear, this was what I stood for. I wrote my final exams, defended my project and was awaiting convocation when I was summoned by the management of the University saying I posted certain things that put the University in a bad light. Excuse me? 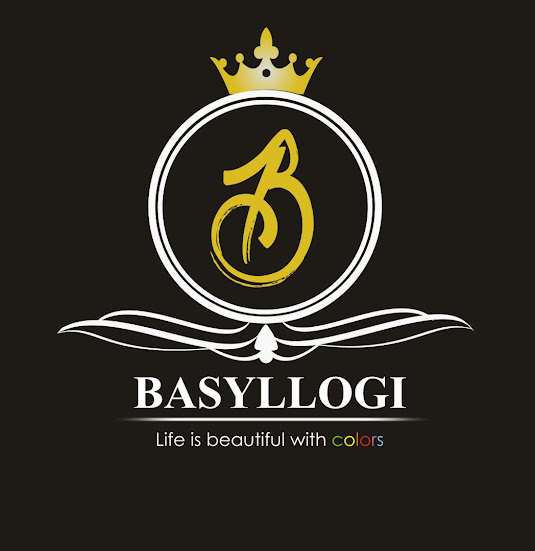 In all my posts, I never mentioned the name of the University nor the name of any of her official. Yet on the 12th of this month, I received a letter of Expulsion for this supposed reason. I have been patient enough with the management of the University.